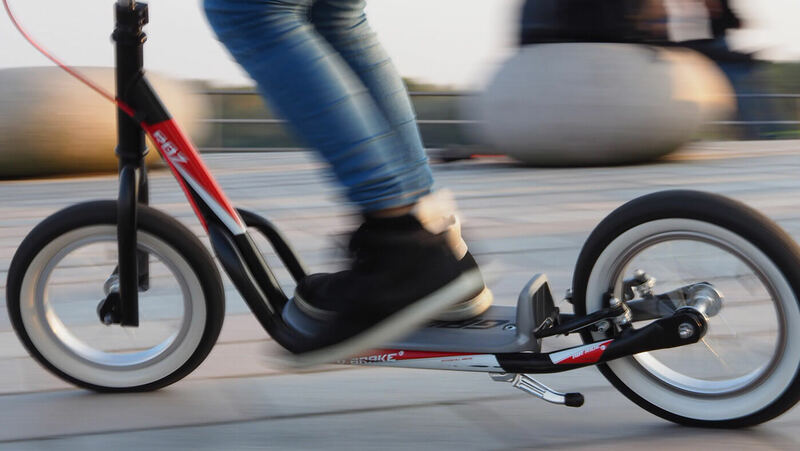 The classic PUKY® scooter is ideal to prepare children for a bicycle, because it trains the child's sense of balance similar to a learner bike, but also strengthens the leg muscles! The classic PUKY® scooter is ideal to prepare children for a bicycle, because it trains the child's sense of balance similar to a learner bike, but also strengthens the leg muscles. Children not only expand their range of movement with the scooters, which run smoothly and safely, but also increasingly develop their sense for speed, steering and braking. Share your best moments with your PUKY in the community. Use #puky.